Around the world, chickens are a dependable source of eggs, protein and income. A gift of two chickens can mean a sustainable source of nutrition for an entire hungry family. Extra eggs offer the opportunity for a dependable source of extra money for a family in need. 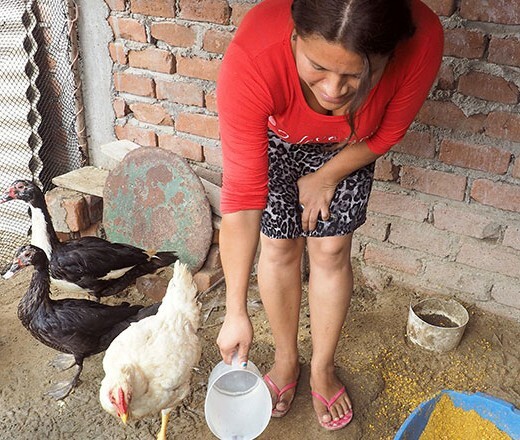 In Peru, mothers like Maria Elena supplement their family's food and income with chickens. They provide a nutritious source of eggs, meat and extra income. Maria Elena and her three children live in a squatter’s settlement built on the hillside, known as Esperanza, outside the city of Trujillo. In Spanish, Esperanza means hope. Like many children in the community, Maria Elena's son, Andy-Lionel suffers from anemia. A pot of beans, a nutritious source of protein, is often cooking on the stove. 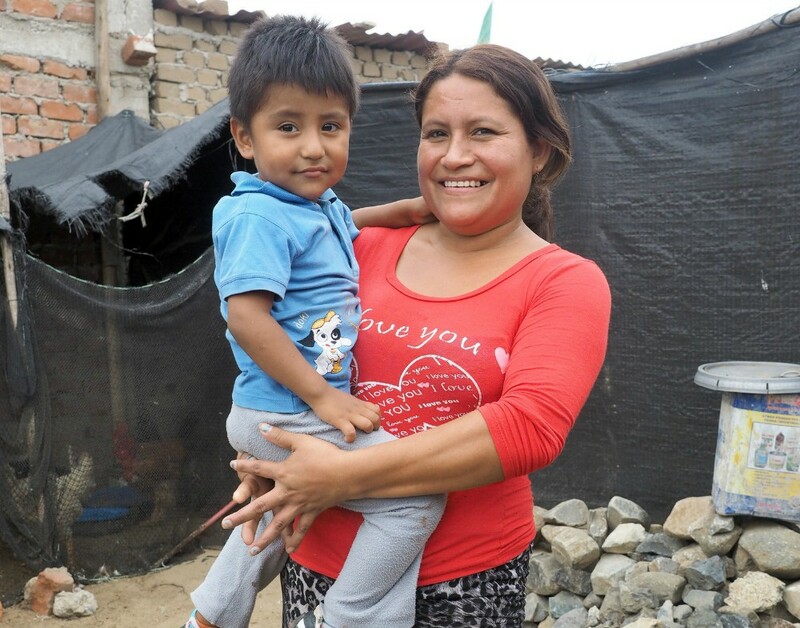 Eggs and meat from the family's chickens means Maria Elena has even more protein options for her hungry, growing son.